CLEVELAND, Ga. –The Federal Emergency Management Agency (FEMA), in coordination with the Federal Communications Commission (FCC), will conduct a nationwide test of the Emergency Alert System (EAS) and Wireless Emergency Alerts (WEA) on October 3. The WEA portion of the test commences at 2:18 p.m. and the EAS portion follows at 2:20 p.m. The test will assess the operational readiness of the infrastructure for distribution of a national message and determine whether improvements are needed. The WEA test message will be sent to cell phones that are connected to wireless providers participating in WEA. 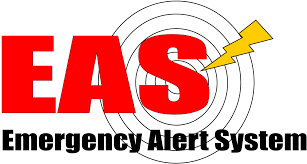 The EAS is a national public warning system that provides the President with the communications capability to address the nation during a national emergency. The test is made available to EAS participants (i.e., radio and television broadcasters, cable systems, satellite radio and television providers, and wireline video providers) and is scheduled to last approximately one minute. The test message will be similar to regular monthly EAS test messages with which the public is familiar. The EAS message will include a reference to the WEA test.